Happy 2018, friends! It feels so good to be back after a couple of (much needed!) weeks off in December. With the holidays behind us and the Christmas decor put away, it feels like we get to hit the reset button in January. I love the fresh start that new year brings, don't you? On the flip side, sometimes the post-holiday winter season can be just a tad depressing. Our homes can also feel a little bit, well, bare without all of the Christmas decor, and the festive feelings we had just days ago starts to fade. One way to combat the winter blues is to freshen up some of the decor around your house, and one of my favorite ways to do that is with PILLOWS! Swapping pillows gives you an opportunity to quickly and easily change the look of your living room without replacing anything major or breaking the bank. It can sometimes be a little bit tricky to know how to mix sizes, shapes, colors, and patterns though - a lot of people (understandably!) panic when it comes to putting them all together. But have no fear, I've got some tips for you on how to do just that, and I've got some fabulous, pre-picked combos to kickstart your pillow refresh. Vary the sizes for visual interest. For example, on a sofa, choose a pair of 20" or 22" square pillows as your largest "anchors" on each end, and then layer in either a pair of smaller square pillows (20" or 18" depending on what you chose for your largest ones), or a smaller square and a rectangular one in something like a 12"x20" size. Choose a large-scale pattern, a small-scale pattern, and a solid as your mix. To make it really easy on yourself, use one of the patterned pillows to pull colors from for the other two. This will keep the look cohesive. When you swap in new pillows, stick to that color palette and you'll be golden. Go monochromatic. Just be sure to vary the textures and include pillows that have some kind of special detail (like tassels!) to keep things interesting. Stick to similar tones. In this case, the colors don't actually match, but they complement one another in overall look and feel. 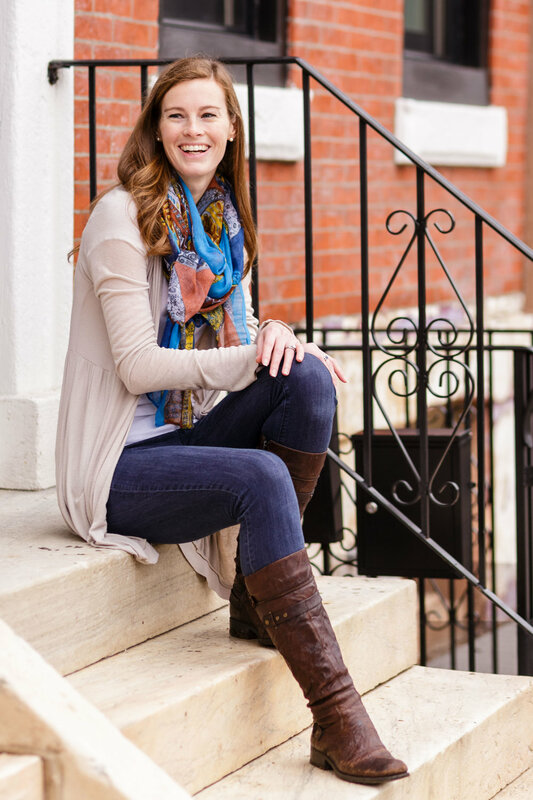 You can pull this off with a group of bold colors, pastels, or neutrals. One thing to note about this method of choosing pillows will lean toward a slightly more eclectic style overall. 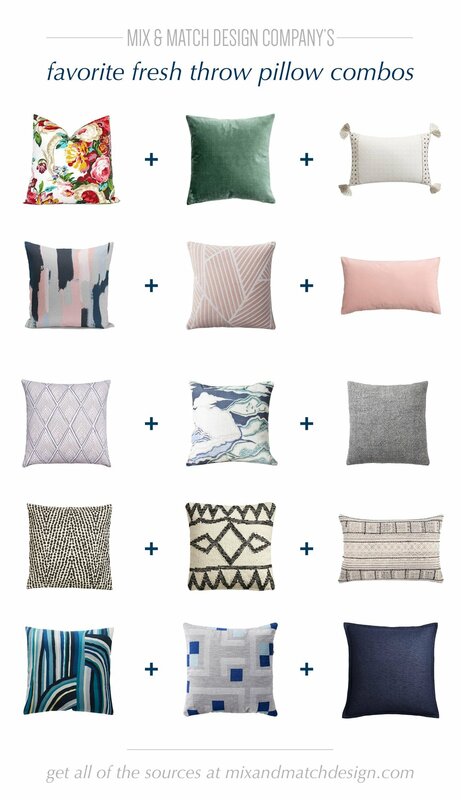 Putting this post together makes me want to pick up some new pillows for my own house! What's your favorite combo from the five above?